Part 1 deals with the philosophy of existence and simulated realities. Later parts may cover prophecy and cycles of existence, morality and ethics, and computer intelligence. Imagine you are running an advanced simulation of the world. The simulated people would go about their normal daily routines, until one day, a glitch in the software occurs, and certain things within the program begin to go berserk. No problem, for you simply manifest yourself in the program, fix the glitch, and continue on the simulation. That is, until the world you live in, your world, begins to glitch. Then suddenly, you observe actions that defy the laws of physics. In almost no time, the problem is fixed. What just happened? Are you yourself living in a simulation, and did a more “real” being just fix a glitch in your simulation? Welcome to the world of simulated reality. The most famous exposition of this realm of philosophy today lies in The Matrix (1999), a film in which the vast majority of people exist as simulated beings and are unaware that the world they are living in is not real. A small number of humans become aware that they are in a simulation and actually exit the Matrix and enter the real world, but this raises many questions. Besides the epic bullet-time and combat scenes, the movie prompts some interesting philosophical thoughts about reality, and what exactly is reality. [A]t least one of the following propositions is true: (1) the human species is very likely to go extinct before reaching a “posthuman” stage; (2) any posthuman civilization is extremely unlikely to run a significant number of simulations of their evolutionary history (or variations thereof); (3) we are almost certainly living in a computer simulation. It follows that the belief that there is a significant chance that we will one day become posthumans who run ancestor-simulations is false, unless we are currently living in a simulation. The main point of the paper is to demonstrate this trichotomy, especially showing why (3) is true given that civilization advances past (1) and (2). Basically, if it is possible that some race achieves the ability to create advanced simulations on a massive scale, e.g. trillions of simulations, then are we more likely to be the one designer race in the real universe, or a simulated race in one of the trillions of simulated ones? The infinitesimal chance of the former scenario becomes even more nonexistent if one considers that even a designer race might itself be a simulation, etc. If each of the trillion simulations creates a trillion simulations, then we are most likely in a simulation within a simulation; because of the exponential nature of these numbers, chances are we are in the lowest chain of the simulation pyramid. Wikipedia, a very strong source in philosophy, has a nice comprehensive and thought-provoking article on simulated reality (see References). It is especially interesting in the discussion of computational aspects of massive simulations for the designer end, and it covers just as well the philosophical end. By this point, you should have a basic understanding of the Matrix and simulated realities. Read on if you want my own spin on the topic. The idea that we may be living in a simulation seems at first to be absurd. After all, you can see and feel objects around yourself, and even more, as shown by your reading this article on philosophy, you are capable of thought. Remembering Descartes’ famous line, “I think, therefore I am,” you can confidently reason, “I exist.” But existence on what level? In The Sims, a video game that is also a life simulation, one could argue both sides of existence for the characters in the game by using different levels of perception. In the level of the simulation, the character obviously exists. If it did not, there would be no game. The virtual data that comprise the character are just as real as the atoms comprising us. But what about in the level of our reality? In that case, the character would not physically exist. Sure, the virtual data has to be stored by something physical, e.g. a silicon chip, but can the underlying form of the character actually be considered real? In our own bodies, the quarks and leptons (the fundamental building blocks of matter, or at least with current-day physics) directly comprise our existence. In the silicon chip, the particles are merely ways to represent virtual data, which are then processed by a program, which then creates image and audio, which we then perceive with our senses to build a picture of the character, but only in our minds. To be sure, direct sensory perception will always require some construct of the individual mind, but in this case, the character has a very different type of existence, if it considered to be existing at all. For this, a little thought experiment shall do. First, imagine a real-world chair. How would you go about making this chair nonexistent? Remember, the goal is not to simply argue over the existence of the chair, but to actually remove it from existence. One idea is to hide it behind another object. Now one cannot see the chair, but another person walking along on the other side of the obstacle will easily see it. That would not work. How about we dig a hole, throw in the chair, and bury it? It would not be seen, but with the right technology, one could deduce the existence of a chair at the spot. Now, the chair would also decompose over time. Hold on, think about the concepts of nonexistence and destruction for a moment. The burying of the chair is actually complicated in that it note only removes the chair from sensory perception, but also removes it from its current form over time. To better understand this, consider a much faster phenomenon, the detonation of an atomic bomb. If the chair were placed at ground zero of such an explosion, it would be disintegrated in a split second. Then to what extent can we say the chair exists? The chair does still exist. The individual quarks and leptons that originally comprised the chair are still moving around, even if they are separated from each other. How can this be philosophically different from a chair decomposing over time? I contend it is not. Even when the chair is left in the open, perceivable to anyone, it is surely losing atoms over time. Basically, in the nuclear explosion, the building blocks of the chair still exist. And since we still call the object a chair when it is losing atoms slowly, in the fast case the chair also exists, for it is well within the laws of physics that—although not likely at all from the second law of thermodynamics—all the fragments of the chair come back together to form a full chair. At this point, can we say it is the same chair? Yes, because it consists of the exact same atoms that it had to start out as. It is thus impossible to make a chair nonexistent, unless, of course, one factors in the fact that modern physics allows for the destruction of quarks and leptons comprising the chair a la matter-antimatter annihilation. But this annihilation does not violate the conservation of mass-energy. The energy released from the explosion could return back into matter and reform the chair or parts of it. Now imagine a universe that is in every way the same as our own but without the particles composing the chair. If one were to measure the total mass-energy of both universes, one would find that one universe has more than the other; even if the chair were totally annihilated, it would still retain its mass-energy and thus leave some footprint in our universe. (Granted, this mass-energy difference may be extremely hard to measure, perhaps even empirically impossible, but assume it is theoretically possible, for this thought experiment is trying to find a fundamental difference between existence in reality and in simulations, not an empirical one.) In our universe, therefore, a real chair cannot be made nonexistent. So what separates this real chair from a virtual chair? The difference is that a virtual chair can be made nonexistent. While our universe conserves mass-energy, a simulated universe we create would not have any reason to enforce this law. In fact, even if it did, could we not, as the programmers, simply inject a piece of code that removes all data of the chair? This act would conserve mass-energy in our own universe, but not in the simulated one. Now think of the two-universe distinction again. One universe, or simulation, would never have had the chair to start with, while the other had a chair that was then removed. It is theoretically possible that, from the way the code was written, the two simulations have exactly the same data at this point. Thus the two simulations are at this point in time identical, and since the chair by definition does not currently exist in one simulation, it must not exist in the other simulation either. A final intricacy of the thought experiment: What if we ourselves are in a simulation? Then, just as we can cause some item in our simulation to cease existence, our simulator race could cause some object in our universe to be removed completely, even its mass-energy. Therefore an object in our universe would cease to exist. What has the chair experiment taught us in terms of philosophy? That the existence of an object has different levels depending on whether it is simulated, or its level of simulation. This way, a simulated character provably has a lower level of existence than that of a real character. Now, on to the philosophy of The Matrix. The situation of humans in the Matrix simulation is quite complex, in that the humans have an existence in the real world as well as in the simulated world. Also, some humans only exist in the real world, while anthropomorphic computer programs exist only in the Matrix (with the exception of a particular rogue software). 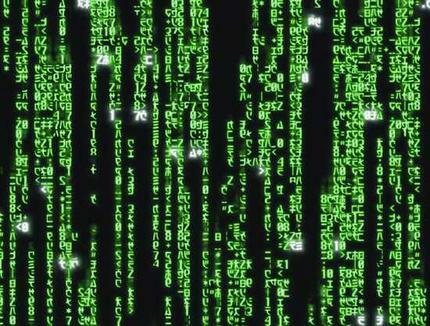 The characters in the Matrix thus have mixed levels of existence. More interestingly, a certain program openly talks to the humans about existence and the future: the Oracle. How does it know, and why? Part 2 will cover the philosophy of prophecies. Bostrom, Nick. “Are You Living in a Computer Simulation?” Philosophical Quarterly (2003), Vol. 53, No. 211, pp. 243-255. Can be found online: <http://www.simulation-argument.com/simulation.pdf>. Wikipedia. “Simulated Reality.” (Accessed 11/18/2009): <http://en.wikipedia.org/wiki/Simulated_reality>.